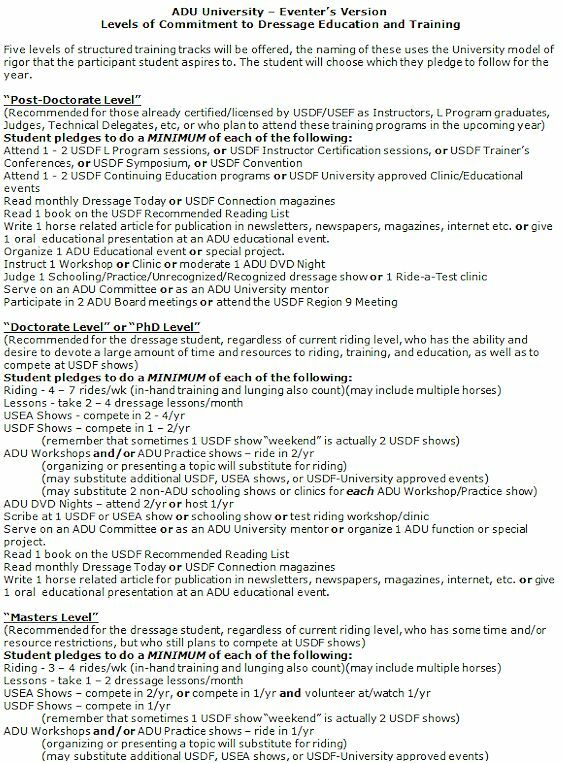 The ADU University is a program offering a formal goal-setting and accountability system of dressage training and education, supported by a volunteer mentor. 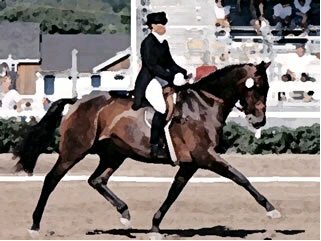 It is for serious dressage enthusiasts, in order to improve their progress and advancement up the levels of USDF dressage. 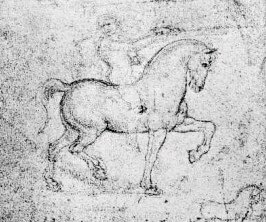 It is a structured support system for developing and maintaining discipline in the life-long learning process of dressage. ADU Members who wish to participate in this program will formally sign up for it with the ADU University “Dean”, preferably at the beginning of the year, although any time is fine. 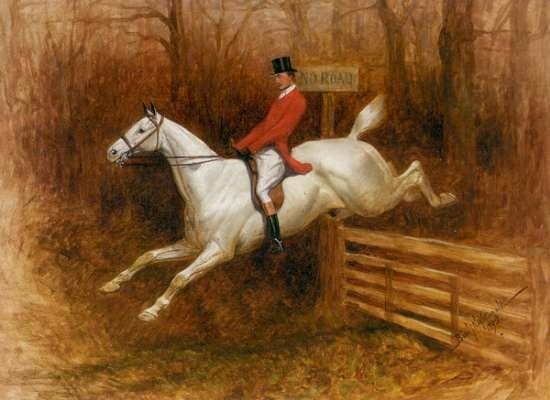 With the guidance of an approved qualified volunteer dressage mentor, the student will set the goals that they wish to achieve for themselves for that year. This will include advancing through a specific level of dressage, and a plan to follow a progressive riding and training program for the upcoming year. The program will be laid out on paper and the member pledges to follow the program to the best of their abilities. 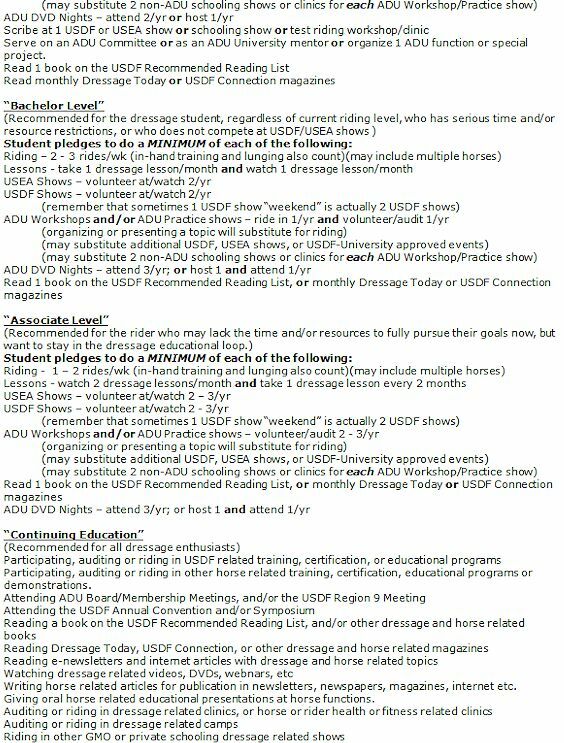 The program, in varying degrees, may include the pledge to: ride a number of times a week, take a number of instructional lessons a month, attend a number of ADU workshops, practice dressage shows, DVD Nights, read dressage magazines and books, and volunteer or compete at USDF recognized shows (USEA shows for Eventers, USDFBC shows for Sporthorse Breeders). The student will check in with the mentor at least monthly throughout the year to evaluate how they are fulfilling their pledges. Together they will assess the student’s progress, fill out a monthly summary report form, all in a relationship of honesty, encouragement and support. A Mid-Term and an End of Year Summary Report are required to be filled out and sent to the ADU University Dean. All ADU University participants will be recognized, and successful “ADU University Graduates” will be honored at the annual ADU Year End Celebration party.